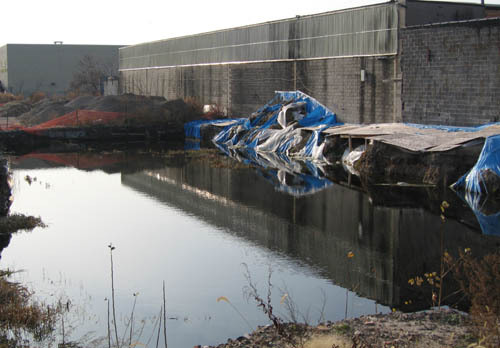 Whenever we pass the future site of the Gowanus Whole Foods, which has been an environmentally-challenged lot wit a couple of pits for about a year, we like to check on its status in general and, specifically, on how the body of water we like to call Lake Gowanus is doing. The little lake that will probably be somewhere around the bakery department and the vegan baked goods has been created by Gowanus groundwater seepage and we're please to report that it's looking great. (Ice skating for winter, if it gets cold?) 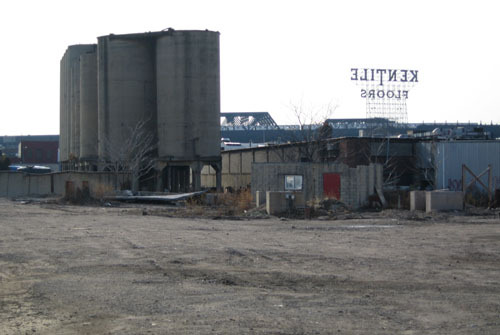 As for the rest of the site, think post-industrial wasteland. We do note that equipment like the big red Gowanus crusher has been removed from the site of the former concrete crushing factory on the site.